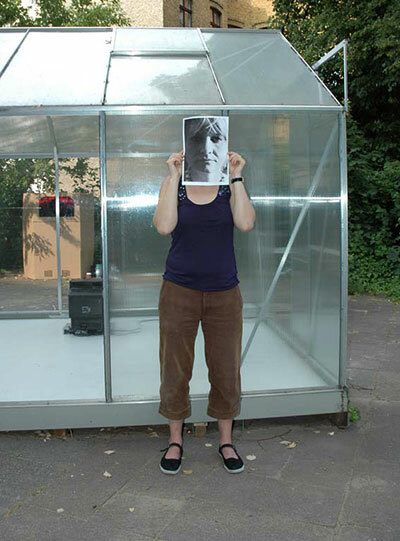 "SIMULTANEOUS ON/OFF-SITE REPRESENTATIONS OF EMBODIED STATE OF MIND, BERLIN –BASEL 2007.06.13 5PM-"
The performance consists of two simultaneous representations done by organizer Heidi Hove Petersen at super bien! 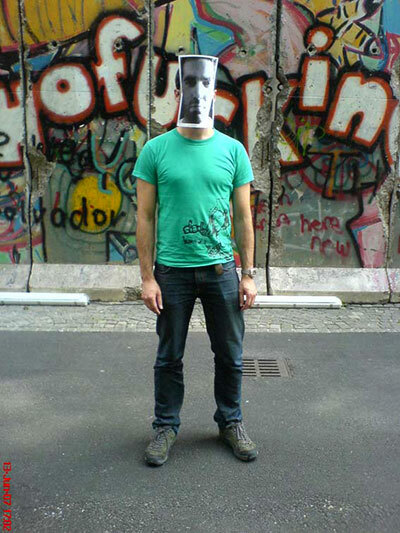 and Lasse Ernlund Lorentzen, in front of a part of the Berlin wall outside Kunsthalle Basel. The two performers has been photographed outside Koh-i-noor gallery Copenhagen, at the opening of Deadpan Exchange part I.
Lasse Ernlund Lorentzens work highlights the intimate relation between ways of contemplation, the experience connected with art, and power. Through a radical problematization of this rather banal connection, the work draws attention to the power involved in the concrete situation in which the work is appreciated. Lasse Ernlund Lorentzen is currently finishing his MA at The Royal Danish Academy of Fine Arts. He has recently been granted a Fullbright scholarship as a non-degree MFA student at the University of California, San Diego, where he will be staying for a period of one year, starting from September 2007. While in San Diego, he will be studying how the present drive to constant development of new technological devices in western societies, affect and structure aesthetics in the everyday life as a consciousness of consumerism.